Agriculture Minister promotes initiative to establish central museum and study center for settlement research. 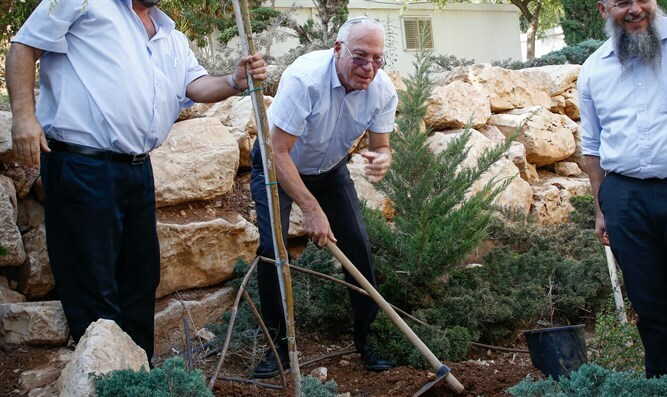 Agriculture Minister Uri Ariel addressed the Prime Minister, a number of government ministers, and Zionist institution heads today requesting they take part in advancing the initiative to establish a museum and study center for settlement research. "After 2,000 years of exile, G-d's people returned to His homeland. With the Land of Israel's return to its nation, rural settlement was renewed with the establishment of the first moshavot settlements," wrote Minister Ariel. "Settlement is Zionism at its best and instills the basic values of our people, including mutual responsibility, connection to the land, innovation, and Torah commandments that are dependent on the Land. In the 70th year since establishment of the State of Israel, I think it right to establish a central museum and center to study settlement, which will include all settlement activities of the modern era," he added. "Accordingly, I'd like to establish a steering committee to outline the establishment of this museum. I request you appoint a representative to promote this important project," Ariel said at the end of the letter. Ariel's letter was sent to Prime Minister Netanyahu, Defense Minister Avigdor Liberman, Finance Minister Moshe Kahlon, Finance Minister Eli Cohen, Construction and Housing Minister Yoav Galant, Education Minister Naftali Bennett, Tourism Minister Yariv Levin, Environment Minister and Jerusalem Affairs Minister Ze'ev Elkin, Absorption Minister Sofa Landver, Interior Minister Arieh Deri, Culture Minister Miri Regev, Israel Farmers Association Secretary Avshalom (Abu) Vilan, Regional Councils Center Chairman Amir Ritov, Settlement Division Chairman Gael Greenwald, KKL Chairman Danny Atar, Jewish Agency Chairman Natan Sharansky, Yad Hanadiv Foundation Director General Ariel Weiss, and Keren Hayesod Director Greg Meisel.